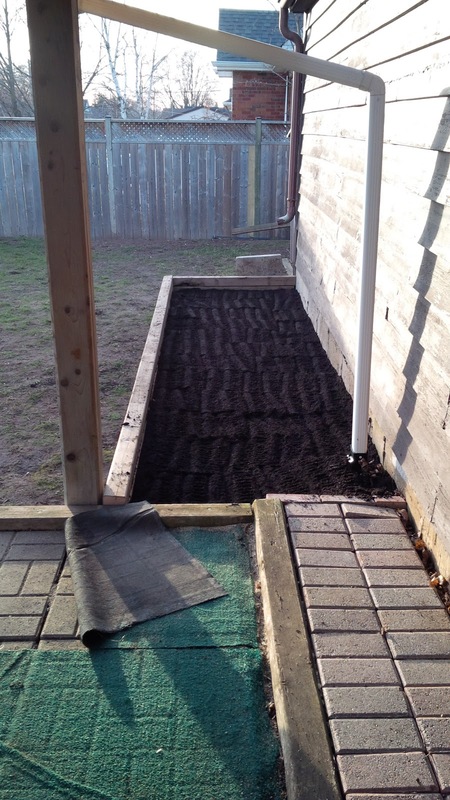 This year, my sister and I decided to plant our first organic food garden. We had to rein ourselves (and our enthusiasm!) in on what we wanted to plant, owing to space and the fact that we're almost total newbies. You can follow her blog here: Lemon Twist Vegan Girl. It was her and her husband's idea, actually. They have gone vegan and vegetarian respectively, and are now going through a tonne of veggies! How to afford tonnes of organic veggies? 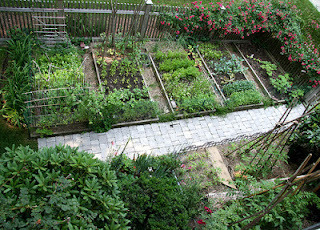 Seems simple to me--plant a food garden! We wanted to plant stuff we'd eat a lot of, but not so many varieties that we wouldn't have enough of any one thing for actual meals. So we planted romaine lettuce, green/spring onions, tomatoes, carrots, cucumber, zucchini, green beans, spinach, butter crunch lettuce, mescalin mix, peppers and peas, and then in the herb garden cilantro, parsley, dill, 3 types of basil and chives. 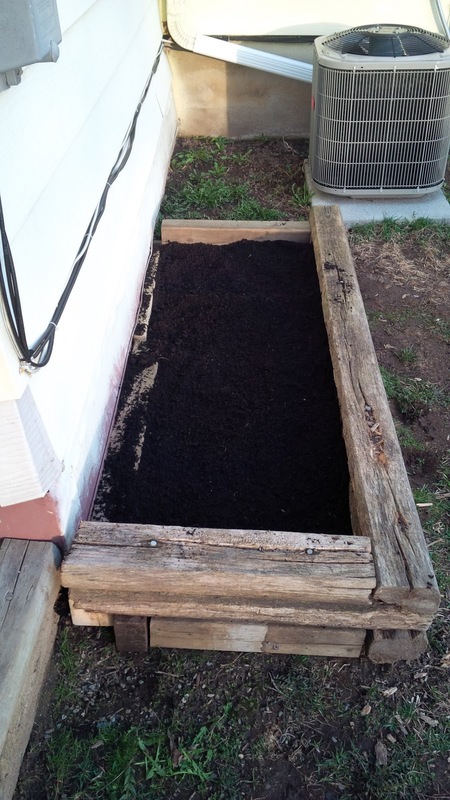 There's only so much space in the boxes, so we're going to utilize all available space...by also planting veggies an herbs in hanging baskets! LOL Hanging baskets of salad! But one day I hope to have something like this!! We're calling ourselves Urban Farmer Gals (UFG...like UFC!! LOL!!). UFG Unite! !